Achoo! Spring is in the Air. MD1CARE - Gold Pediatrics Blog Achoo! Spring is in the Air. The long anticipated winter thaw is just around the corner, and we will soon see sprigs of beautiful flowers and blooming buds across trees and fields in Queens. We will soon see bright green leaves and colorful flowers pop up everywhere, from Forest Park to Cunningham Park, to the boulevards and your local streets. Kids will be soon be suiting up at the local baseball leagues, outdoor track clubs, etc. 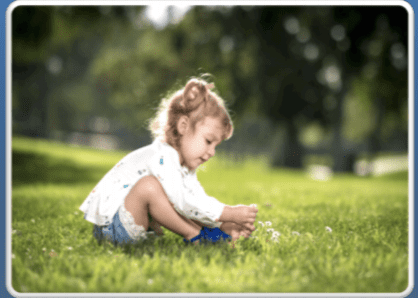 Amidst the beauty and exhilaration of spring, is a nuance that many of our family members suffer from all the way to summer and autumn: seasonal allergies. Seasonal allergies attributed to the changes in the seasons are primarily due to pollen from plants and trees. Queens is mainly populated by London plane trees as well as a variety of maple trees. Allergy from the usually heavy pollen count during the months of March through June (and much earlier in the Southern states) causes over 50 million Americans each year. That translates to boxes of tissues, millions of sneezes, itchy eyes, dripping noses, sore, raspy throats, dry mouth, itchy skin, et al. To make matters worse, many seasonal or pollen-related allergy sufferers become sensitive and have other allergens trigger and worsen the symptoms. This means that in the springtime, many who are allergic to pollen, will have heightened allergy symptoms from mold, ragweed, dust, mite, cigarette smoke, et al. An allergy sufferer’s immune system reacts to these allergy triggers, causing an immediate, and sometimes prolonged immuno reaction such as the release of histamine triggering the allergy symptoms. Close windows and doors at the house at all times. Discourage the children from bringing clothing items and footwear exposed outdoors, inside the house, especially the bedroom where pollen and other allergens could settle. This includes school bags, hats, jackets, etc. Vacuum and wipe down the household daily. Monitor household family members’ foot traffic after coming from outside. Wash clothes frequently. On the side of precaution, use hypoallergenic detergents. Use over-the-counter (OTC) medication such as: Zyrtec (cetirizine), Allegra (fexofenadine) and Claritin (loratadine). Benadryl (diphenhydramine) is also used although should be used sparingly because of the side effects which includes severe drowsiness. Always check instruction labels and consult your pharmacist and primary care provider. Strengthen the immune system by decreasing stress, adequate sleep, good nutrition and sufficient hydration. - Dr. Marigold Castillo is board-certified by the American Academy of Pediatrics, and is an assistant professor of Pediatrics at the Donald and Barbara Zucker School of Medicine at Hofstra/Northwell. She is an attending physician at Cohen Children’s Medical Center, specializing in Adolescent Medicine. She is a medical officer/ contractor at the United States Merchant Marine Academy and for the NYC Board of Education’s school-based health centers.